Another announce! This is going to be expensive year! 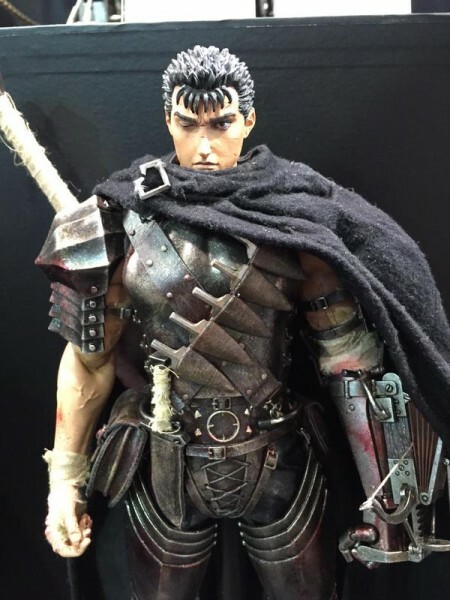 Threezero is proud to announce that we are in development of 1:6th scale fully articulated figure based on "Berserk", a Japanese award-winning dark fantasy manga, also known for the TV anime and movie series. More info on this soon! Upd. 1. Nothing revealed wonder festival winter. 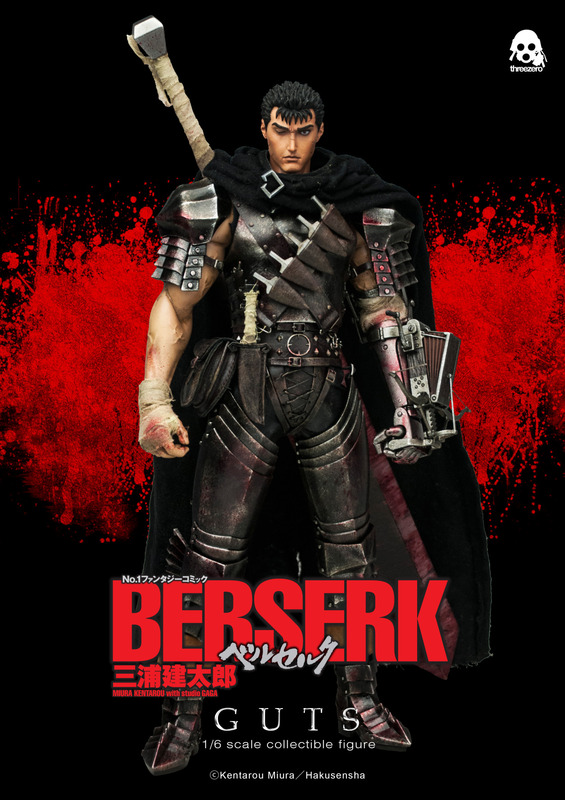 Great to see another company start producing berserk merchandise, An wow! 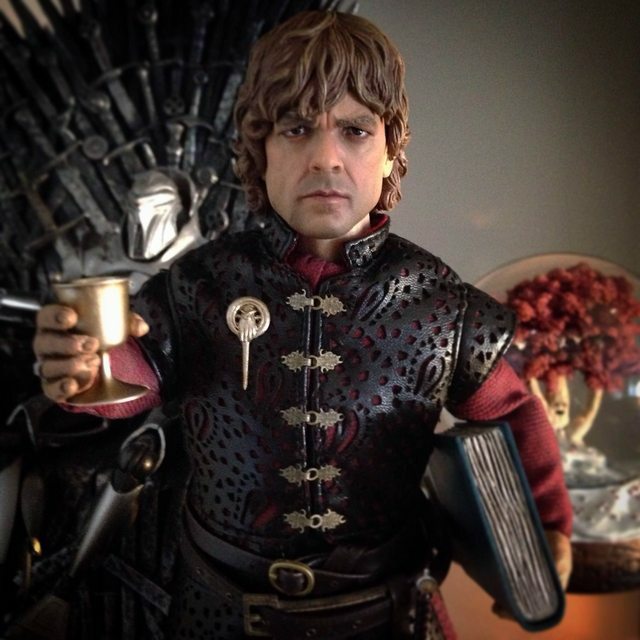 Tyrion and those mechs look amazing! Can't wait to see what these guys do with berserk! Hopefully they will be more faithful to original graphic novel and do a better job with leather and metal(ic) parts. 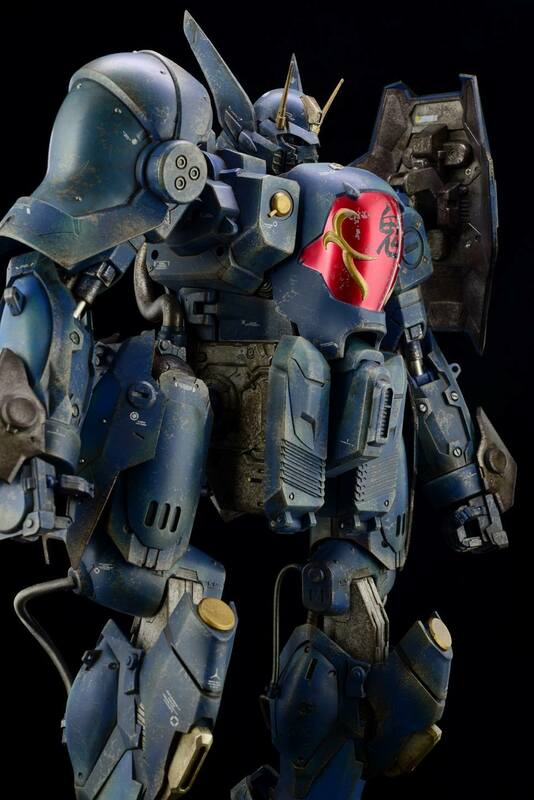 I still wish Hot Toys or Enterbay do their version.
" 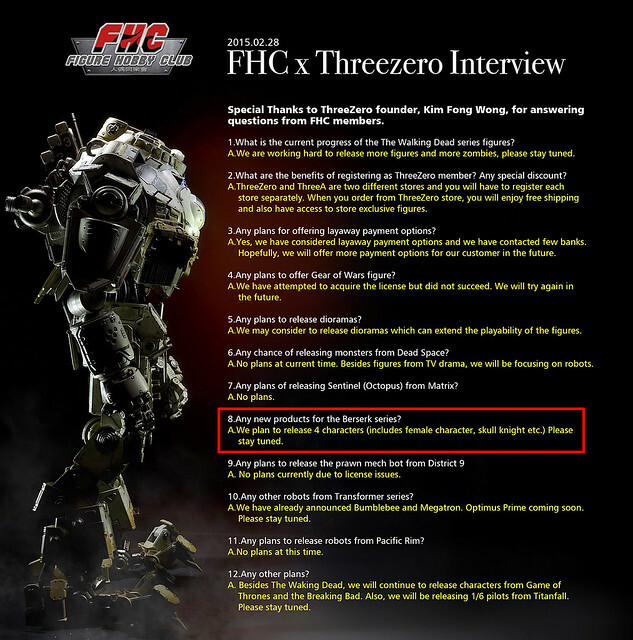 4 characters (includes female character, skull knight. etc.)" Woot!!! I'm buying all 4!!! Nice, thanks for the news! I'm guessing - Guts, Casca, Skull Knight and Griffith. That's my guess as well. It's kinda obvious, I guess. 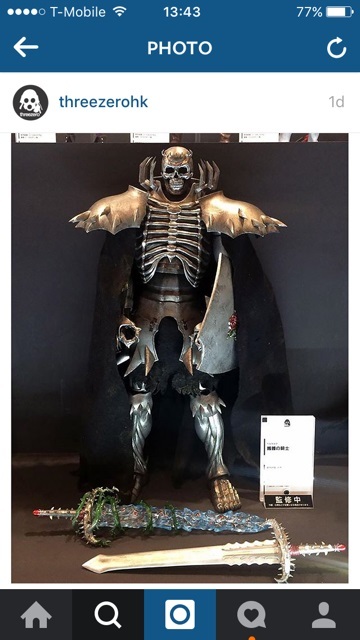 I want skull knight with his horse! 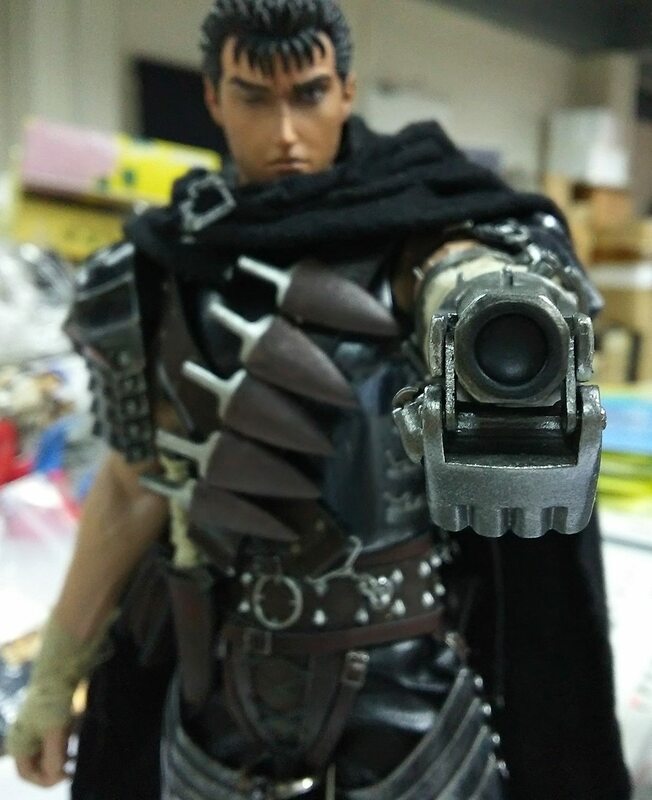 Man , I'd definitely love to update the Berserk collection to good looking articulated figures. 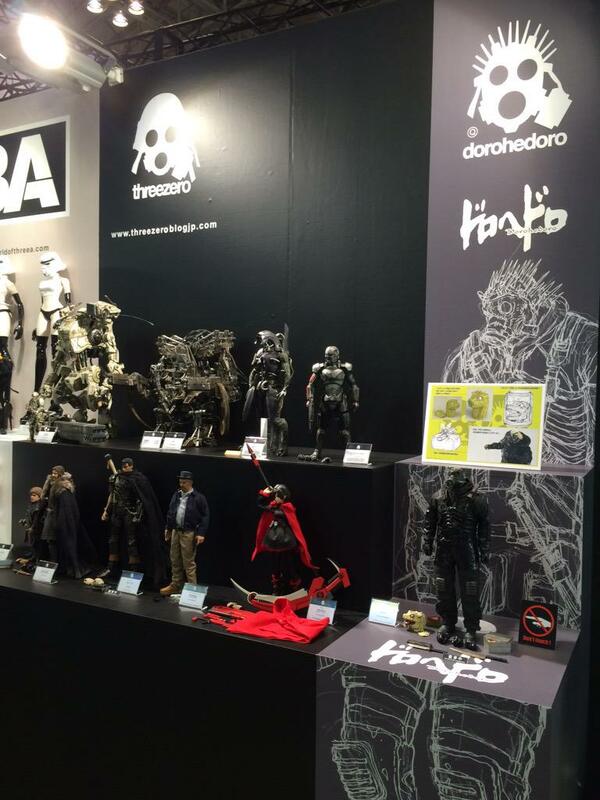 I think Threezero is the company to deliver. Background a bit blurry so I'm not sure if we speaking about quality. Arm looks like mix of plastic with metal joint, are they really using metal parts? Nose seems a little long, but overall detail looks better than Medicom already. Wow, it looks great. I think I will put some money aside for this. How is the poseability with these figures? Do you get what you see or can you get a bit more dynamic with them? I can't seem to find much about similar figures on youtube. Good question. From the last two images and a view of the arm (elbow area), it doesn't look like the arm bends. Not sure about the legs or other joints. Actually, I believe it's using silicon muscle body. It's quite popular in muscular body type these days (Hot toys Hulk, Thor figures used them. One problem is silicon rubber has deterioration issue over time. You need to apply protective oil and don't keep the figure in bent pose too long. Wow looks amazing can't wait for this to come up for pre order! Very cool. It looks so much better than the RAH version. No ugly joints and screw covers and over all the paint and look is consistent. 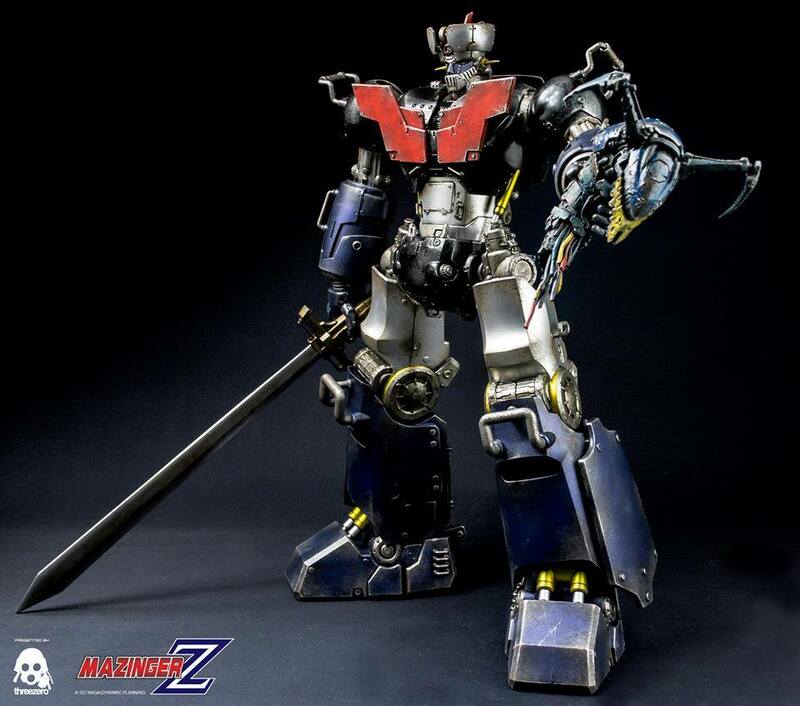 Hopefully we get a release date and maybe a look at whats next at Wonder Fest in the next few days. 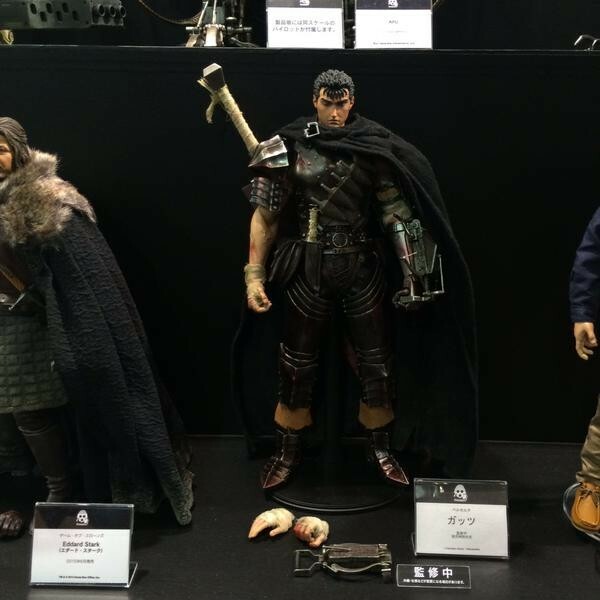 Edit: Guts made it to the WonderFest booth. 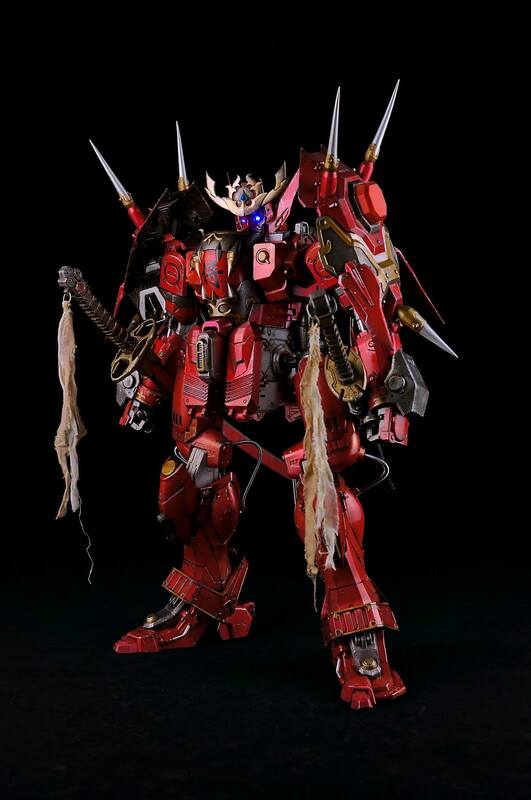 Hi Folks, if you guys have any suggestions or criticism, I suggest we tell Threezero directly on facebook, they`re very keen to listen to fans and give feedback. I for one, don't quite like the face on the prototype. I think they could also give him a second headsculpt with a fiercer look. Arms , armor and body look great, but the face doesn't really do it for me yet.